Since 1980, Dr. Gay has assisted over 4,200 medical professionals (of which 2,900 plus are optometrists and over 450 are ophthalmologists) with their business and personal financial needs. Additionally, he has personally conducted over 1,900 practice appraisals for buy-sell and estate purposes and has assisted in the buying and/or selling of over 1,400 ophthalmic practices to date. Dr. Gay has helped to build over 368 million dollar optometric practices of which 54 are of a single location with a single practitioner and over 124 two million-dollar optometric practices; in addition, he has help to develop over 63 practices between $3 million to $42 million. John Gay is a widely sought-after writer and lecturer on practice management and has taught numerous seminars and spoken at many Inter-National, National, Regional, State and Local Optometric, Ophthalmic, Medical and Dental Associations on topics related to the importance of sound practice management principles to the success of the professionals and their practices. He has been the owner or co-owner of five Eyecare Centers. Dr. Gay is a former faculty member of the AOA’s Practice Management University and the Liberty Institute. He was the Executive Director of the Illinois Citizens’ Right to Work from 1978 – 1984. Additionally, Dr. 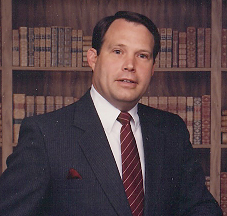 Gay served as an aide to President Nixon and President Ford; he was co-owner and President of Peoria, Illinois Gay-Huff Construction and Development Co. Inc., Gay-Huff Reality, Inc., and Kitchens by Gay-Huff, Inc. from 1973 – 1980 which assisted in building over 1,600 homes and townhomes in the central Illinois area. From 1984 – 1992 Dr. Gay was co-owner and President of American Healthcare Designers, Ltd., and American Healthcare Suppliers, Inc. which designed and furnished over 450 medical buildings or offices throughout the United States. Presently, Dr. Gay serves as a life member of the Dirksen Congressional Research Center’s Endowment Board. John was instrumental in assisting with the fundraising to build and endow the Dirksen Congressional Library in Pekin, Illinois. Additionally, he served as the first Executive Director and Vice President for the Dirksen Center. Of the thirteen (13) Presidential Libraries, there is only one Congressional Library in the United States – The Dirksen Center. Dr. Gay is a graduate of both the Aurora Citizens Fire and Police Academies and presently serves as a member of the Aurora Police Department’s Disciplinary Review Board, is the co-chairman of the KCRT (Key Community Response Team) Board and Liaison to the HRC (Human Relations Committee), is a member of the VWAB (Victim’s Witness Advisory Board), serves as a Director and Vice President for the D.A.R.E. Board, and is a Veterans’ Affairs Commissioner for the City of Aurora. Additionally, Dr. Gay serves as a member of the Overseas Security Advisory Council and the Councils of Advisors; and, was the former Chairman of the ACPAAA’s (Aurora Citizens’ Police Academy Alumni Association) Community Outreach Committee. You will find Dr. Gay listed in Who’s Who Among Students in American Universities and Colleges (1968-1969 Edition), Who’s Who in the World (2000 Edition), Who’s Who in Finance and Industry (1997-1998 Edition) and Who’s Who in Medicine and Healthcare (4 th Edition), and Who’s Who in Science and Engineering (2003-2004 Edition).